I usually don't listen to reviews on movies. Not all of them are right. Most of them aren't actually. I like to see it for myself and come up with my own opinion of it. 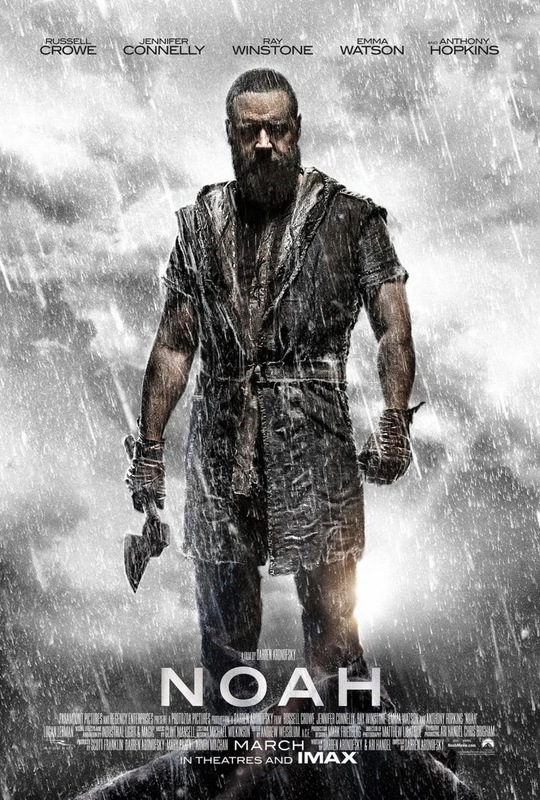 When I first saw a preview for Noah I was excited. There are a lot Christian based movies coming out lately and that's kind of exciting. I thought since we had the Passion of the Christ there was some hope for Hollywood and their adaptations of these bible stories. The more and more I heard about Noah I wasn't so sure about it anymore. A lot of friends were posting how they hated it on facebook, etc. It wasn't until I saw this blog review that it finally changed my mind entirely. Every person is different with things they tolerate in movies. 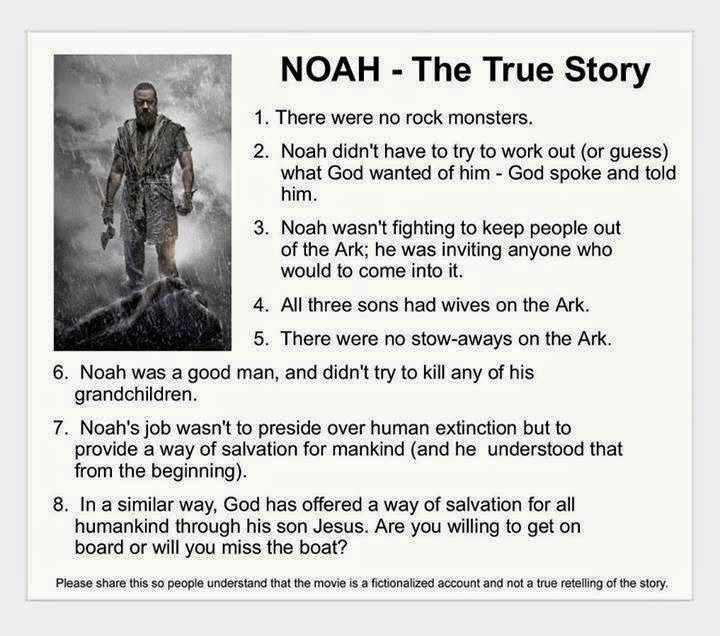 But when it comes to a story from the bible as epic and important as Noah. I decided to read it and see what the deal was. There are major spoiler alerts in the blog so beware. Apparently, it's directed by an atheist. That doesn't show much promise straight out the gate. In my opinion Hollywood is running extremely low on new ideas so they are pulling them straight from the bible. Doing some kind of hack job to entertain the masses and calling it the "untold story". Of course its untold because it's completely fabricated. If you want the real story read the bible. If you want some cockamamy rendition then go see the movie.